Transplant patients and their families can gain support from many different types of groups, including group gatherings, educational programs, one-on-one support, social activities, newsletters, written materials, Internet groups, and talking on the telephone. As patients’ transplant experiences continue, they often gain confidence and reach out others, in turn making lifelong friends, enjoying social activities and finding opportunities to promote the need for organ and tissue donation. 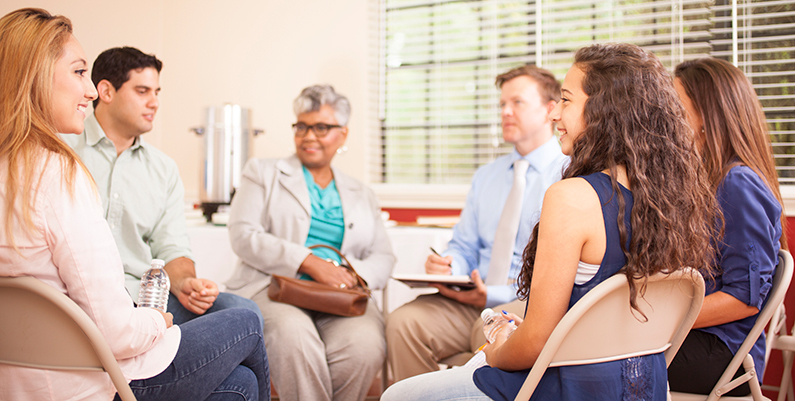 Usually run by the hospital transplant coordinator, social worker or other member of the transplant team, these types of support groups may consist of patients who are pre- or post-transplant or are hospitalized with transplant-related problems. These types of groups also typically meet more frequently than non-hospital groups. Usually run by transplant patient, these groups consist of pre- and post-transplant patients and their families. They allow members who have already had their transplant to help you with the adjustment to a more normal, everyday lifestyle. They usually have monthly meetings and special events. These groups can provide you with a broad range of experiences from all over the world. In addition, Internet support groups allow allow you to ask personal questions in the comfort of your own home. You can find many Facebook and other social media sites that specialize by organ type or disease. Professional organizations provide educational seminars, materials and activities. They also may conduct fundraising to support research and help shape healthcare policy. There are no support groups available in Colorado at this time. There are no support groups available in Connecticut at this time. Group is open to all transplant recipients, those on waitlist, & their families. Organ Transplant Recipients of SW FL, Inc. There are no support groups available in Idaho at this time. There are no support groups available in Maine at this time. 350 Montevue Avenue, Entrance "B"
There are no support groups available in Puerto Rico at this time. There are no support groups available in South Dakota at this time. There are no support groups available in Vermont at this time. There are no support groups available in West Virginia at this time. There are no support groups available in Wyoming at this time. United Network for Organ Sharing is committed to providing accurate and reliable information for transplant patients. The content on this page was originally created on August 15, 2003 by the United Network for Organ Sharing and last modified on October 10, 2016.